Since its formation the friends group has sought to get Panshanger Park open to the public as per the original agreement dating back to 1982. On the 31st March last year the eastern section of the park was finally opened, this was very much welcomed. Just over fifteen months later another section of the park is now being opened up, again much welcomed. This latest section includes the area around the Great Oak and where the house once stood (demolished in 1953). Readers may be familiar with the Bradshaw’s guides from the Great British Railway Journeys TV series presented by Michael Portillo. “The opening up of the next phase of the park will be marked by the delivery of a new 2 kilometre long trail. The Oak Trail will offer public access to the iconic 450 – 500 year old Panshanger Great Oak – reportedly planted by Queen Elizabeth I. Like many of the 50 very old trees listed in “Great British Trees”, this ancient specimen is potentially quite fragile, so work is being carried out to make sure that members of the public can safely enjoy its multicoloured splendours throughout the year. The new Oak Trail will start at Riverside Cottage and take in the old 19thcentury waterwheel, which used to pump water up to the original Panshanger House. 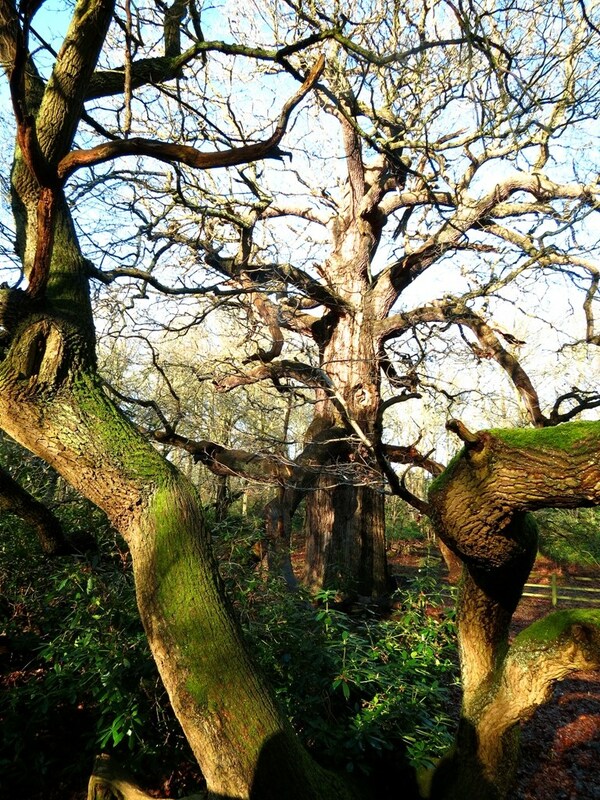 The half way point will be the woodland – where the 450+ year old Panshanger Great Oak can be seen. The tree is being surrounded by a traditional iron estate fence – not only to protect the health and safety of visitors – but also to protect the health of this vulnerable old tree. From the oak, the trail continues past the orangery to the footprint of the original Panshanger House. 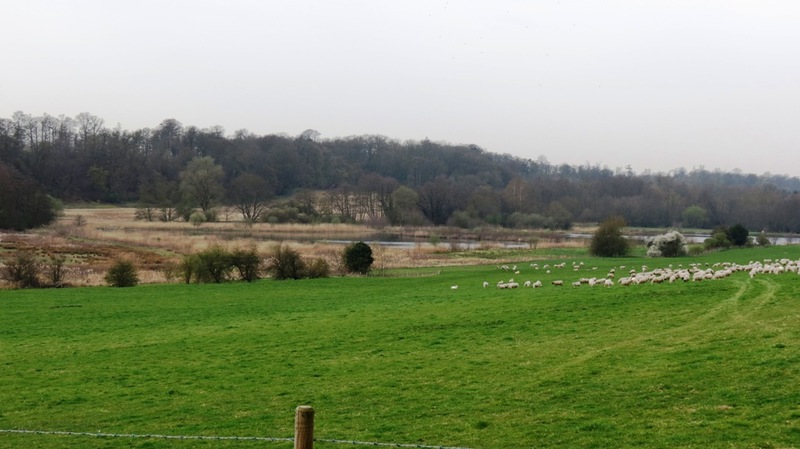 This site offers spectacular views of the River Mimram across Humphry Repton’s Broadwater. The company is marking the opening of this exciting new trail with an Open Day on Sunday 12th July. From 11am – 3pm, company staff and volunteers will be on hand to explain the background and history of the park and provide light refreshments. 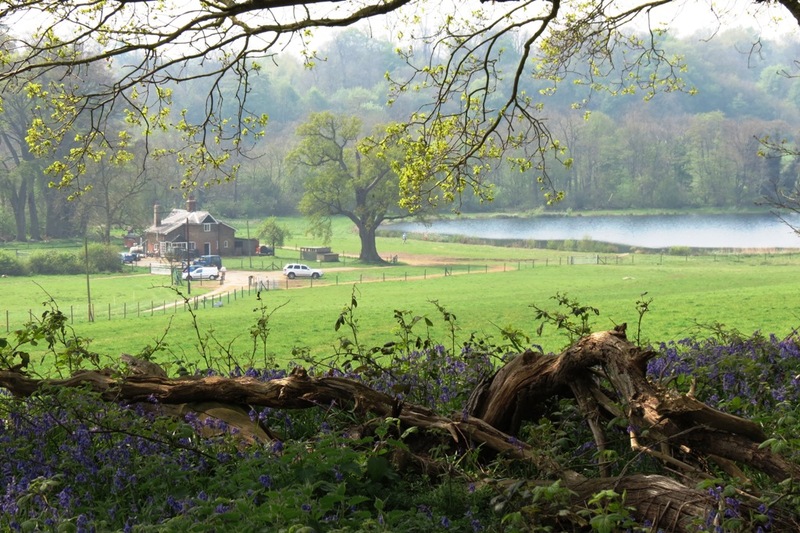 As a one-off only opportunity, visitors will be able to access the park via the Thieves Lane car park (Thieves Lane just off the A414, closest postcode SG14 2WN) and Lady Hughes’ Wood, to leave their vehicles in a temporary car park in the field next to Riverside Cottage. Visitors are welcome to walk to all other open areas of the park, but are asked to move their cars from the field by 5pm. Thieves Lane car park will remain open all day. From the car park, visitors should allow a leisurely hour to complete the Oak Trail loop. The path is surfaced but is not suitable for wheelchairs. Michael Charlton, Restoration Manager for Panshanger Park says the company is delighted to be opening the Oak Trail as the first of several themed trails across the park. He hopes visitors will appreciate both the quality of the specially selected materials and the style of approach the company is taking as it opens up this historic heartland of the park. For example, timbers from trees on site are being used for information signs and benches. Moving forward, the timber for waymarker and fence posts and informal pick areas will all be harvested from the site. This approach forms part of the company’s plans to develop a sustainable woodland management policy across the park. The friends group is pleased to see another section of the park open, and looks forward to more of the park becoming publicly accessible during the summer, as stated. Particularly the east-west path along the Mimram valley. 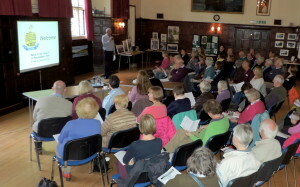 We had 60 guests join us at Mayflower Place, Hertingfordbury for a morning of fascinating talks on the history of the landscape, the local rifle volunteers of Hertfordshire, the vibrant wildlife of the area, park photography and the future plans for the Country Park. Recent paintings of the park were also on display. 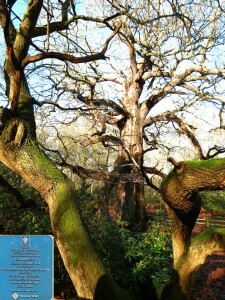 All followed by a lovely walk through the park to see the Broadwater, the Great Oak and the Orangery. The PEOPLES ANNIVERSARY WALK took place on 31st March 2015. Our supporters get behind the message for a group photo. The message from Gary and Kate was clear. This stunning 1000 acre Country Park, as promised to the people of Hertfordshire in 1982, should have opened decades ago. 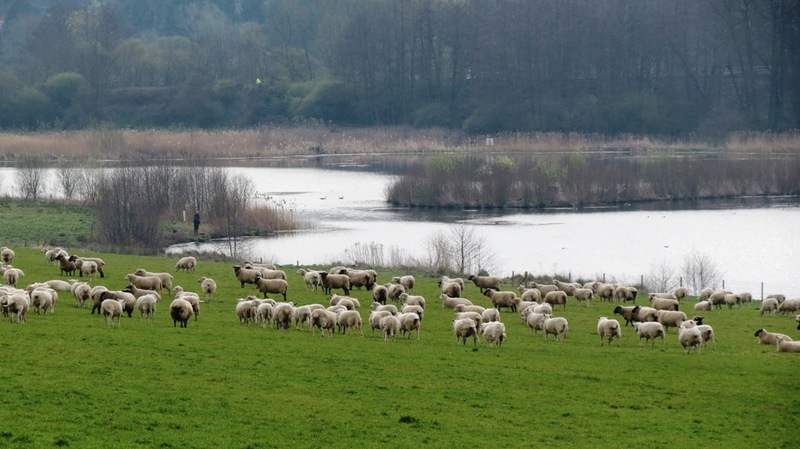 The public have been badly let down by the owners and Hertfordshire County Council who have not ensured the legal obligations for delivery of the Country Park were followed through. Recent promises for opening up of new areas of the park are welcome. However Lafarge Tarmac now need to commit to the investment required to open, manage and deliver a quality Country Park with the facilities as promised. The Friends wish to see these commitments confirmed and the park opened up by May, in time for the public to enjoy throughout the summer. 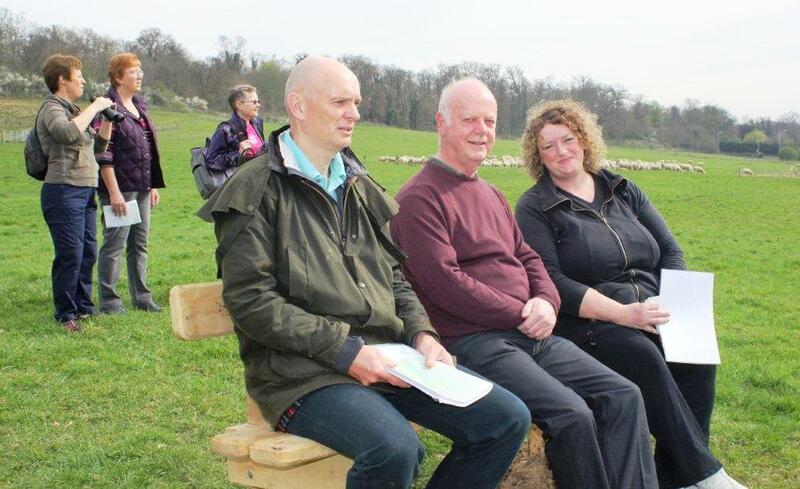 Attending and supporting our walk as part of their 150th anniversary was Kate Ashbrook, General Secretary of the Open Spaces Society. She gave a rousing address to all those present (despite the strong winds) you can watch it below. Our group thanks her for coming along and offering such great support. Those walking in from the west (WGC) were also able to enjoy the path across the Mimram valley, a route that is currently closed to the public. This level and picturesque route was enjoyed by all those accessing this area for the first time today. 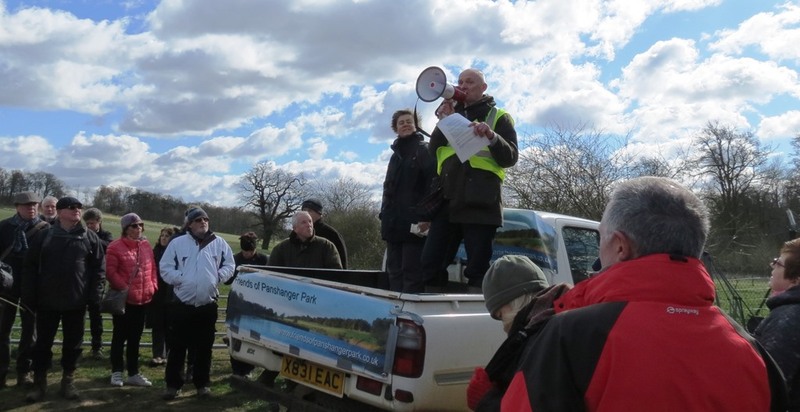 The Friends of Panshanger Park formed in 2013 to represent groups & individuals disappointed by years of delay in the opening up of a Country Park at Panshanger. The Panshanger estate owners were granted mineral extraction rights in 1982 following a Public Inquiry. The resulting legal agreement obliges the owners, now Lafarge Tarmac, to return a restored Country Park to the people of Hertfordshire. As of today only one third of the area of the Country Park has been opened. Some of its most magnificent landscape and features such as the 600 year old Panshanger Oak are closed to the public. 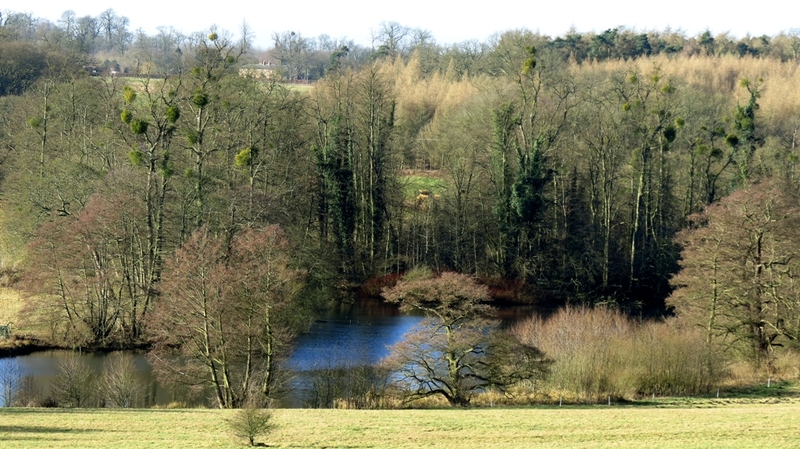 Panshanger Park lies within 5 miles of a population of 150,000 people. The Friends are liaising with Herts County Council and the park owners to ensure the whole of the Country Park is accessible to the public soon. The Friends are also working on projects to improve access routes, provide guided heritage walks and develop recreational initiatives. 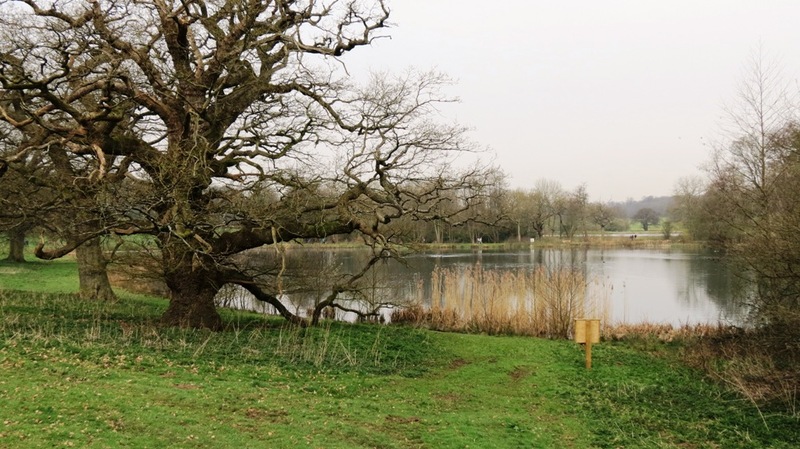 The friends group is now able to include the western side of the park, including the Panshanger Oak and former house and environs on our regular guided walks. More details available on the sidebar to the right. To whet your appetitite below are a couple of recent photos from that side of the park. Further new photos can be found in the Park photos section of the site from the main menu above. Looking down from where the house once stood. The Panshanger Oak. The branches in the foreground are also part of this expansive tree. The weekly parkrun initiated by the friends group goes from strength to strength.The founder of parkrun, Paul Sinton-Hewitt CBE, recently visited to run the park for himself, see the picture below. 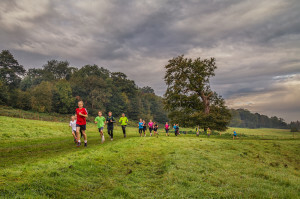 The run was recently featured on the weekly “parkrun show”. It includes a good summary of the park and its setting, as well as a great interview with our own Louise Smith. 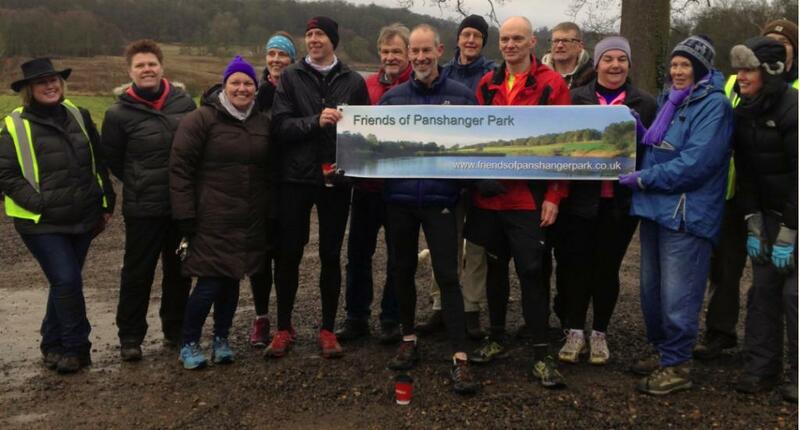 You can listen to the Panshanger article below, its well worth a listen for anyone interested in Panshanger Park. We thank the parkrun show for visiting us and featuring us on thier show. You can listen to the entire parkrun show by clicking here. 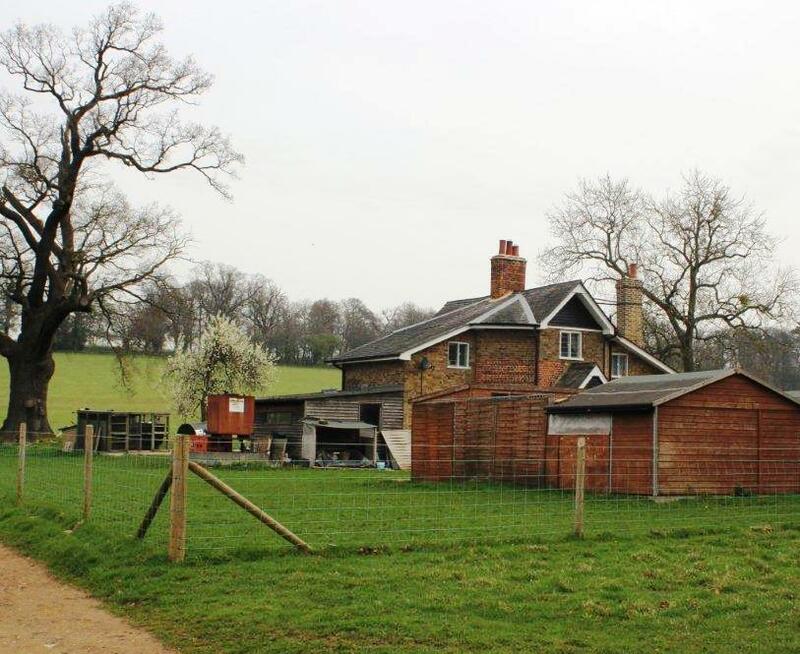 We have recently added more pictures to the site across various pages, including a new section about the former Panshanger House, and have added a new Park Photos section. We have also added a new section ‘Legal agreement and Planning’ which has a link to a new document that outlines the recent planning history of the park, and and the friends’ group view of where things currently stand. MP Grant Shapps visits the park: Yesterday (4th July) the Friends Group hosted a visit by MP Grant Shapps to Panshanger Park. 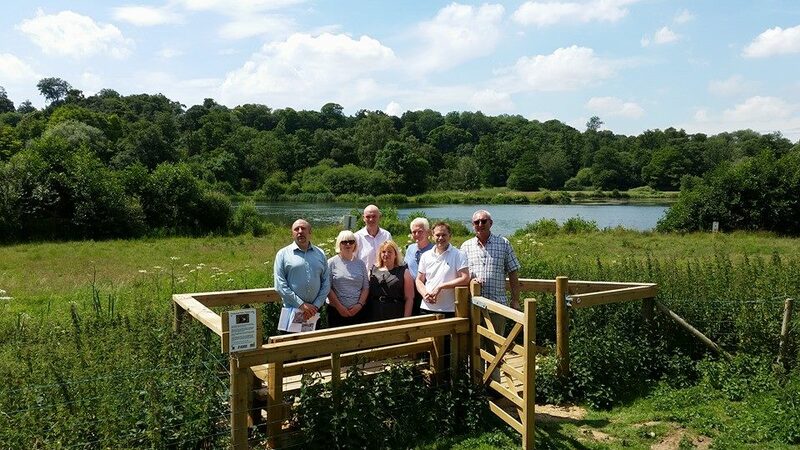 We invited Grant to the park to see for himself the progress to date on the opening up of Panshanger Country Park, what has been achieved so far and what remains to be done. The weather was perfect and he was clearly appreciative of the natural beauty of the park and its historic setting. Below is a picture of Grant and the assembled group on the viewing platform beside the Osprey Lake. Left to right: Will Davis, Kate Harwood, Gary O’Leary, Cllr Sarah Johnston, Chris Haden, Grant Shapps, Rab Harley. Mr Shapps was very enthusiastic about the park and was also keen to learn more about its historical significance from our committee member Kate Harwood. Another member, Will Davis, explained that the friends group were pleased that things have progressed with the recent opening up of the eastern section of the park. He also said the group is looking forward to seeing the master plan from Lafarge Tarmac which gives details and a schedule for the opening up of the western section adjacent to Welwyn Garden City. This Includes the area surrounding the ‘Great Oak’ and former house and gardens. The opening up of the park is underway, and remains a work in progress. We look forward to it’s completion. On this hot Summer’s day the star of the show was clearly the beautiful landscape and fauna of our new park. The friends group prepared a press release for the occasion which can be downloaded here. May 2014: Our second newsletter is available to download here. A new set of pictures from our latest path clearance work party are now available HERE or in the Path Clearing drop down on the news menu above. New history section added to the menu above, see ‘Information Boards’ on the history drop down. 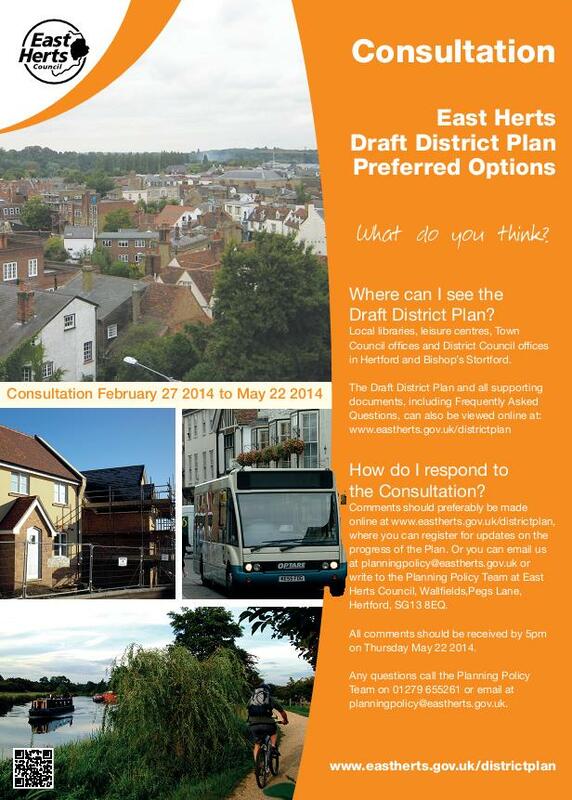 Friends of Panshanger Park – EHDC District Plan Consultation APRIL 2014. It is important that individuals also add their comments, this can be done by clicking on this link. To comment you have to register first, you can do that by clicking here. As of early May there are 411 comments on the consultation, the final tally will hopefully be far higher. If you are having problems naviagating the site or adding your comments please contact EHDC or ourselves for help. 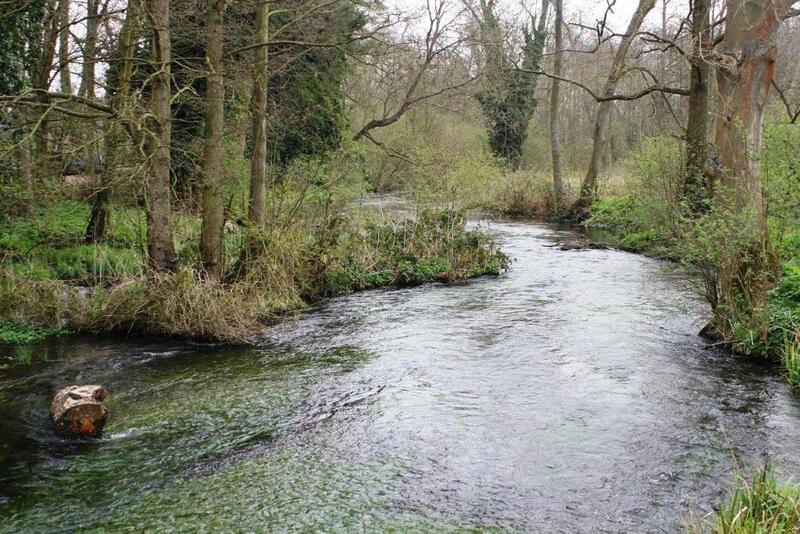 You can now view the daily level of the river Mimram by clicking on our new web page that relays information from the Environment Agency monitoring station at Panshanger, click on the links menu above or HERE. 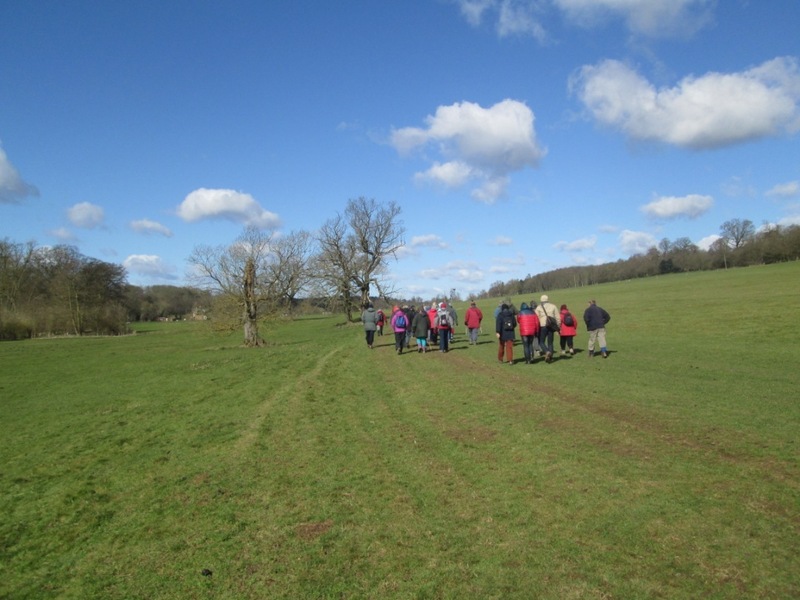 Friends of Panshanger Park hosted another walk on Easter monday, 21st April. It was an enjoyable event and many people commented on what a great local asset the park is becoming, and thanked our friends group for the work done so far in getting the park fully opened up to the public. Below is a picture of some of the walkers on a bridge over the Mimram. Additionally, below is a photo taken on the same day showing bluebells in the foreground and the Riverside Cottage beyond. Pictures courtesy of David Stowe and Will Davis. Please see the News & Events section above for the pictures of our recent inaugural walk around the park. Welwyn Hatfield Local Plan Consultation – have your say! Residents have until midnight on 19th March to have their say on the councils proposal to build 700+ homes on the Panshanger Airfield site. The plan if it goes ahead will bring a new housing estate very close to the park boundary on Panshanger Lane, thus eroding the buffer zone around the park. The green corridor that exists today would be severely compromised. 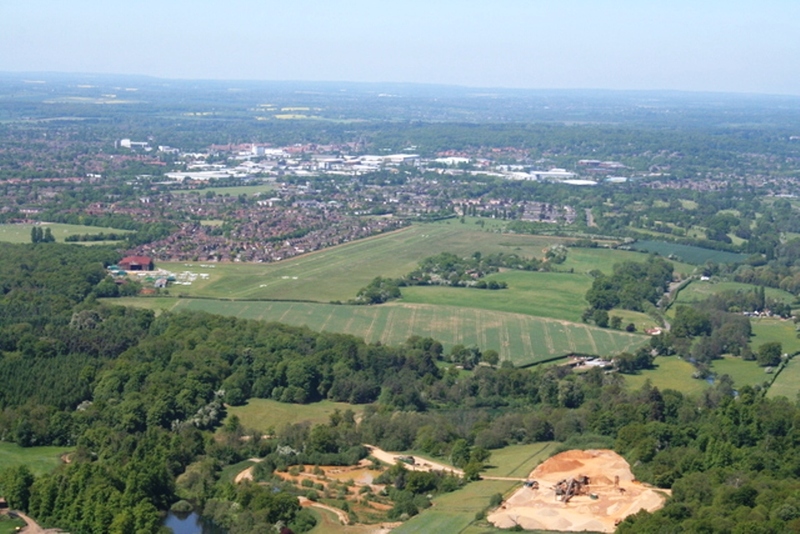 Panshanger Park in the foreground, with the proposed housing site on the grassed area just beyond. Please take a few minutes to add your comments if you are concerned at the impact this might have on our new country park. Event: Talk on the artist Spencer Gore by Nicholas Reed. Wednesday 26th November at 7:00pm – All welcome. Location: Hertingfordbury Cowper Primary School. Birch Green, SG14 2LR (click here for a map). Spencer Gore was one of a group of British Impressionists, the best-known of whom is Walter Sickert. For a time, Gore lived in Richmond-upon-Thames, and when we compare the wide variety of landscapes, portraits, music hall and parkland scenes by the two, the brilliance of Gore’s colours certainly overshadows the more sombre colouring of Sickert. 100 years ago, the Royal Academy excluded Impressionists: they were far too bright for their taste. But taste has moved on since the beginning of the 20th century, which is why Gore needs to be reassessed. In 1914, Spencer Gore was living in Richmond, but he spent hours painting outside in Richmond Park in winter. He contracted pneumonia, and died aged just 35. His son Freddie Gore RA, was born almost the same year as his father’s death. He lived until his nineties, and exhibited in the Royal Academy for decades. Had Spencer Gore survived to his son’s age, we could have had another 60 years of his paintings. Let us just be grateful for the few we have, and wish that the Tate showed them more often. Gore apparently painted about 20 views of Panshanger Park. It is just down the road from Garth House in Hertingfordbury, where his mother lived, and which he frequently visited when visiting his mother. March 31st: Inaugaural walk a great success! 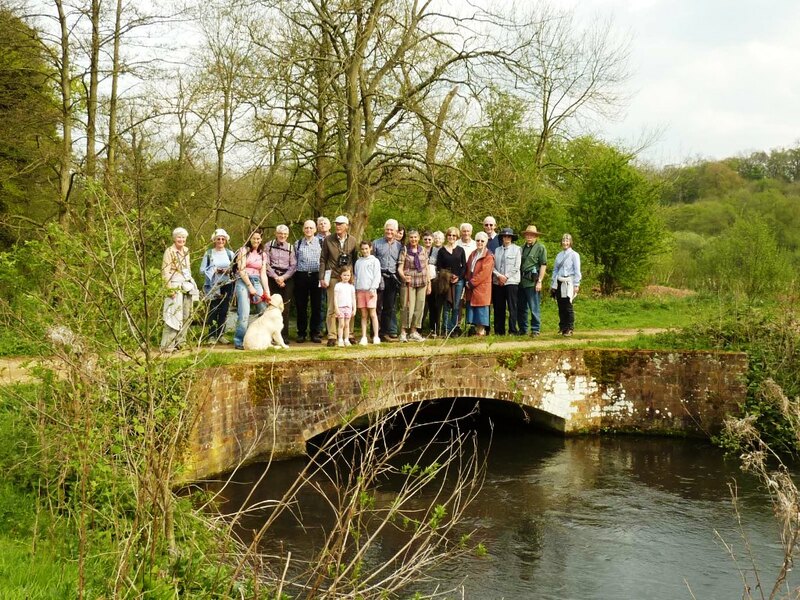 The eastern half of Panshanger Park officially opened on March 31st and was celebrated by a group walk around the area newly opened. This included new footpaths but also much open space in which to roam freely. 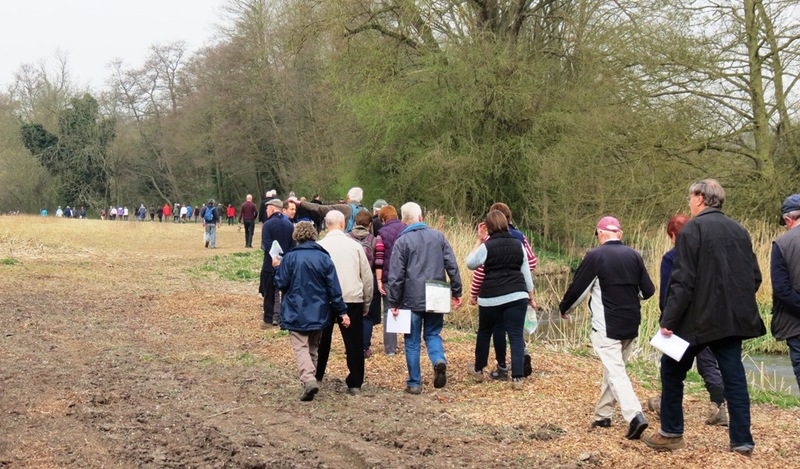 Over a hundred people joined us at the White Horse in Hertingfordbury to begin our circular walk of the new paths which give access to areas of the park that have been out of bounds until now. 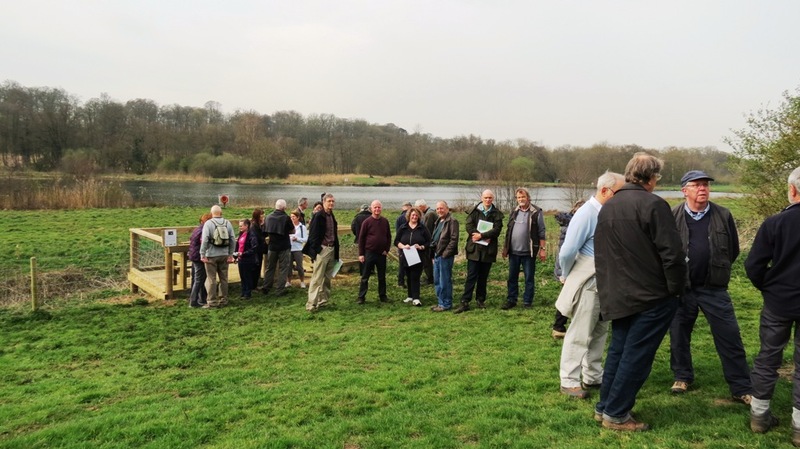 Everyone agreed that the park will grow to become a wonderful local amenity in time, the inagural walk marked a significant step in that journey. Below are a few pictures from the walk, click to enlarge them. The new path goes past Riverside Cottage, a listed building that will be restored. While this opening up of the park is to be celebrated, there are still many issues to be settled between HCC and Lafarge and with consultation with the Friends, including more footpaths, more open spaces, footpaths, bird hides, day fishing licences, picnic/viewing areas, a visitor centre, refreshment facilities, refurbishment of the orangery and access to the Panshanger Oak. The firends are collating the feedback from the walk and will pass it backk to HCC and Lafarge. If you came to the walk and have not yet given us your comments you are welcome to do so via this website. The Friends are hopeful these issues can be resolved to everyone’s satisfaction but especially for the benefit of the mid Hertfordshire public who have waited too long (0ver 30 years) for what was promised and should have been achieved long ago. The Friends Group thanks everyone who came along in support and welcomes their continuing involvement in the group, and the development of the park in general. Please do contact us with your email address if you want to be counted among our supporters and recieve occasional emails about developments at the park. Click here for our contact page. Please contact us if you would like future newsletters emailed to you directly.